Ever thought of the time you actually never realized something was super old school? 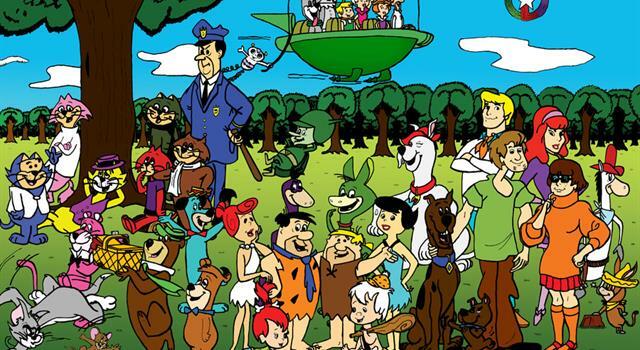 Part of my childhood (and perhaps partial old shame) is Hanna Barbera cartoons shown during the 50s to 70s. I thought about how Cartoon Network once aired a segment called "World Famous Toons". Then I thought about the list of cartoons that I could remember watching, liking and had no idea that they were actually my parents' cartoon shows. I just watched these shows and didn't really care how old they were. So what? They're kiddie shows. Then I thought about how I enjoyed them as a child. The stupidity and nonsense didn't matter to me anyway -- they were kiddie shows! It was weird really how I could think that I would watch anything that was branded as a kiddie show. I didn't care about the lack of character development for such characters -- I was just fascinated by all of them for whatever stupid reason I had. As an adult, these shows started to lose fascination with me and I doubt it that they'd all be remade either. It's 2019 and I guess these shows will just end up in the antique museum sooner or later.